CONOR GRENNAN was born and raised in a peaceful suburb of New York City, but when he was 10 years old, he moved with his parents to a very poor and dangerous urban neighbourhood in Jersey City, New Jersey. “It was a challenging place to grow up, but I think it taught me a lot about resilience and the need to place your trust in others to help you get through the tough days,” he says. 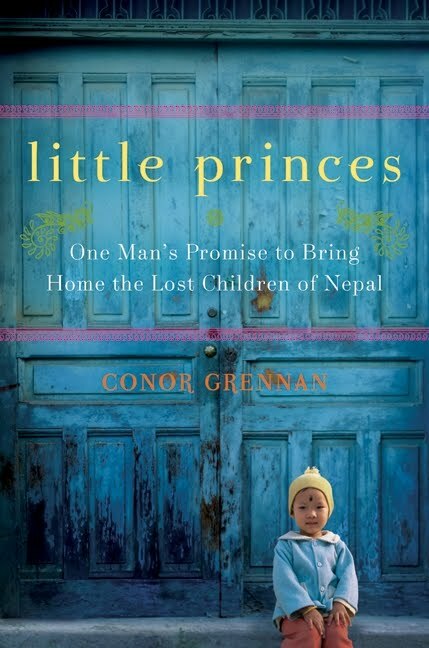 Little Princes: One Man’s Promise to Bring Home the Lost Children of Nepal is his first book. I think I always wanted to be in government—not as a politician, but as somebody who helped the process, who learned about the issues that would affect people, who would try to make the best decisions possible for everyone else. Did you always envisage yourself working for a non-profit or non-governmental organisation of some sort? I worked for the EastWest Institute (EWI), a US-based public policy think-tank, in Prague and Brussels for about eight years before going to Nepal. It was much different work from where I ended up, though—I was focused on security policy at the top levels of government in the Balkan countries. I loved that kind of work, but I never thought I would ever be interested in really grassroots-type work. In your book, we see that although setting up Next Generation Nepal (NGN) seemed to be a natural progression from your volunteer work there, it was nevertheless something that was on a much larger scale, and perhaps something that you never expected—from browsing brochures to choose volunteer work to creating an actual home for over twenty children. Did you ever imagine that your volunteer work would result in such a big commitment? No, never! It really was a complete surprise. I knew that I loved the kids and wanted to help, but I never thought I could make a difference. But when seven children disappeared, I realised for the first time that I was maybe the only one who could save them. That’s how it all began. You have a great sense of humour and this is reflected in your writing style as well as how you communicated with the children in Nepal. Do you think it’s important to have a sense of humour in this sort of volunteer work, it being emotionally taxing and all? I really do, yes. I think that sometimes volunteering seems scary because it seems so daunting, so serious. The truth is that working with kids is really pretty hilarious, because kids around the world are naturally funny. I wanted to make sure that made it into the story, that you could hear the children’s voices come through, because they make each day possible. What traits do one need to possess to volunteer for NGN? We partner with a great organisation to accept volunteers—mostly, people just need to have an open heart and be willing to accept the people and the culture for who and what they are. And of course, you have to really have a passion for kids, or at least suspect that you might! Do you think volunteer work with children is different from volunteer work with adults? Does one require any particular sensitivities or special knowledge? I think that the level of responsibility is greater. Kids are so impressionable, so if we come in with our own ideas about what their culture should be like, or what their needs should be, we run a risk of really having a less than positive impact on these young lives. We have to remember we are not just helping, we are taking the place—at least temporarily—of parents. How dangerous is the work? In your book, you described many close shaves—do you think you were very lucky to have come out of them unharmed? Would volunteers have to be very vigilant and constantly on the lookout for child traffickers or any other similar threats? Thankfully, Nepal is a much safer place now than it was during the civil war. There was very little law at the time. And now, the trafficking problem persists, but the traffickers themselves do not threaten us as they used to. I think I definitely got lucky a few times when I was in the mountains searching for families—we don’t have to worry in the same way these days. Does NGN still face physical threats from child traffickers like Golkka? How do you ensure the safety of your volunteers? Golkka is still active, but he doesn’t threaten us as he used to. He’s now the head of a political party in Nepal, so he wants to appear legitimate. He doesn’t threaten us because he has too much to lose. How long did it take you to write this book? Was it difficult to write? Do you see yourself writing more books, opening a path to a career as a full-time author? Little Princes wasn’t too difficult to write, only because I had done a lot of the heavy lifting over the past several years. I had written many of these stories in blogs, taken a lot of notes, and thought a lot about the story. Even with all that, it still took almost a full year to put the book together. And writing for a living, as well as working on NGN, would be a dream. Most of all, awareness. Nepal is not a part of the world we know much about. We don’t hear much about this type of child trafficking. I mostly want to raise awareness for the work we are doing with NGN, since there are so many children still out there who need help. Most people are either apathetic or ignorant of the sufferings of numerous communities and developing countries in the world. When you live in a comfortable, urban environment, it is easy to forget that some people in the world do not even have basic necessities such as running water, food or transportation. How would you convince people to leave their comfort zones to see for themselves the suffering of others and to volunteer their time in these places? I’m guilty of this myself—every day I take what we have here for granted. The only thing that jolts me out of it is to actually return to Nepal. So I’m very understanding of this! I do believe, though, that we enrich ourselves tremendously by seeing these parts of the world. I went out really just to impress people, so I believe whatever the reason—adventure, bragging rights, or really helping disadvantaged people—the result can be the same: seeing life in these poor areas can change your life. What would you say is the biggest change you experienced after your experience in Nepal and subsequently setting up NGN? For the first time I really understand that there is a large group of people out there, children, who need help. I see it clearly. I think of these kids as I think of my son—if he was in danger, how desperate would I be to have somebody with resources step in and try to help? Now, I am that person who can help. That changes everything. As much as the children learnt from you, what did they teach you? Mostly, exactly how resilient children really are. This has helped me with raising my son, and knowing that he can survive so much. It also helps me understand that you don’t need much to have a joyful life—just the basic protections. That material things are not the key to happiness as I always thought they were. Do you feel even more strongly about rescuing children in Nepal, now that you’re a father yourself? Definitely! I put my son in that position, and I keep my mind focused on helping that next child. That’s somebody’s son or daughter, and that child is somebody’s entire world. It changed my perspective completely. What would your advice be to a potential volunteer at NGN? Mostly to just try to get to know the children, what really drives them, what their dreams are, how they see life. You can change their lives for the better, and they will change yours, too. Are you still working on NGN full time? Are you working on any other projects at the moment?I’m now on the Board of Directors, but I work with our team in Nepal daily. I’ve really stayed focused on Nepal, they need so much help. How do you like being an author and going on book tours? What’s the best part about recalling your experience in Nepal and telling people about your work there? I love it! I love spreading the word about Nepal and the kids. My favourite part is definitely seeing people react to the stories of the kids, to see people so touched by them because of the book. It’s a wonderful experience. Do you have plans to expand your volunteer work beyond Nepal, i.e., to other countries, or to focus on other causes, for instance, other areas of volunteer work involving children or other volunteer work that are non-related to children? I think that might be down the road, yes. But for now, we know that the world still doesn’t pay much attention to Nepal, and we believe it is up to us to continue to make a difference. Do you have a favourite author who inspires you in your writing? I love the great storytellers, like Dave Eggers (Zeitoun, What is the What). 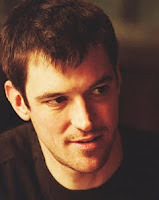 He take complex stories and makes them simple and human. He’s a great inspiration.